To call AMD’s Ryzen family of processors highly anticipated would be an understatement. The market has been craving innovation in the CPU space for some time. With a trio of competitively priced desktop chips configured with 8 cores that have experienced major IPC boosts over past chips, all of that waiting has paid off. After what felt like an eternity, AMD last month released its first processors in quite some time that could hold their own against the long-standing performance leader, Intel. However, with Ryzen, AMD’s goal wasn’t simply to match the competition, but to best it in as many ways as possible. I’ll be covering a lot of those ways in this article. This review ushers in a new test suite that was created as the result of feedback seen around the Web following Ryzen’s launch. It became clear at that time that some improvements could be made on our end. As a result, our revised suite is about as “from scratch” as it could be, and includes a handful of worthwhile additions. 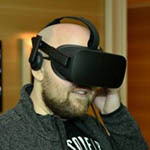 One of those additions is Blender, the ultra-popular open source design and rendering tool that AMD promoted a handful of times leading up to the Ryzen 7 launch. Even more notable, though, is the addition of Linux benchmarks, which coincidentally happens to include the same Blender and HandBrake tests used in our Windows testing. Ultimately, our new CPU suite is much better than the last one. It might not be perfect, but as it is, it requires a lot of time to get through – about 2 full days for each processor. Still, changes will be made when the need arises, and we’re of course open to suggestions and critique. If you’re interested in learning about our updated suite’s tests and our methodologies, the next page in this article was made for you. Let’s get back to the purpose of this article: to see how AMD’s latest processors fare in the current landscape. As mentioned before, AMD wanted to stick it to Intel as much as possible with Zen, and in many ways, it has. It’s no secret that Zen’s IPC performance falls behind Intel, but it doesn’t fall behind to such a large degree that it negates the architecture’s multi-threaded benefits. Take, for example, Intel’s Core i7-7700K. This ~$345 quad-core processor is priced higher than AMD’s ~$320 eight-core. Intel’s going to win against AMD in single-threaded performance, but multi-threaded? There should be no comparison, because even if the IPC doesn’t match up, twice the number of threads (16 vs. 8) is going to make up for a huge bulk of that loss (part of this is owed to architectural benefits, too, not just additional cores). Compared to AMD’s Piledriver (and earlier), Zen’s transistors are half the size (14nm vs. 28nm), and the architecture as a whole is much more efficient – this is the first revolutionary (not just evolutionary) processor AMD’s released in a good while. 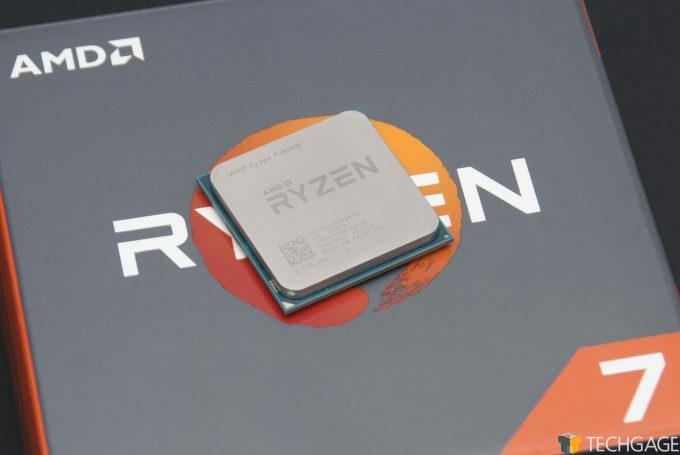 As it stands right now, Intel offers market-leading single-threaded performance, while AMD offers the best multi-threaded performance at the respective price-points of each Ryzen 7 model (at least in most cases). Consider this, too: most of AMD’s fastest chips of the last generation carried a TDP of 125W. 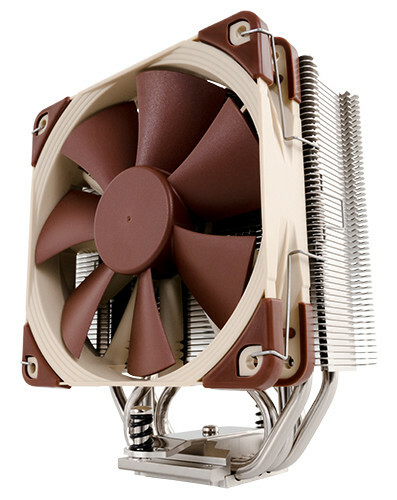 The biggest chip, FX-9590, pushed the envelope to a staggering 220W. Zen, on the other hand, allowed AMD to give its top-end Ryzen 7 1800X model a mere 95W TDP – just like Intel’s Core i7-7700K. While there is a noticeable delta in actual power drawn between the two processors (as seen on the final page of this article), it’s hard to complain when AMD’s chip is giving us twice the number of threads. An 8-core processor which peaks at 4GHz is alluring, but the real leader in this entire lineup (to me) is the Ryzen 7 1700. This $329 chip offers the same number of threads as the bigger 1700X and 1800X models, but throttles back the clock (which can be reversed through overclocking), resulting in a 65W TDP. Am I the only person impressed by there being a 65W 8-core chip? Intel’s Core i7-6900K, by comparison, is spec’d for 140W, and as you’ll see later, our real-world power test showed the exact same delta between the two. It goes without saying: a 75W delta is huge. That said, the 6900K did come ahead in many tests, but when you consider the overall performance/price ratio, jaws should drop. There’s more to Ryzen than just its processors, though. Coming alongside these chips is a handful of new chipsets, including the enthusiast-class 370X, which in our case calls ASUS’ CROSSHAIR VI HERO home. More modest PCs can be built around one of three other chipsets: B350 (a step below enthusiast), A320 (“essential”), and A300, destined for the smallest form-factors. 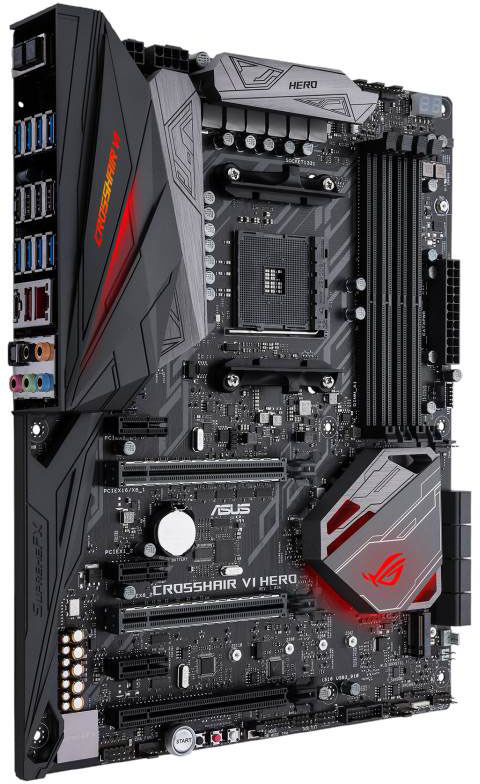 The CROSSHAIR VI HERO is an attractive board that offers the best of AMD’s highest-end chipset. The board includes USB 3.1 Type-A and Type-C support, M.2 support for both a single SSD (2242~22110 sizes supported) and also an add-in Wi-Fi module, official support for DDR4-3200, dedicated liquid cooling headers, and catering to a current trend, RGB lighting. ASUS includes two 4-pin RGB headers on this board, in case you want to spice up your build with additional RGB accessories.